NuGet Gallery | Packages matching Tags:"vsts"
85 packages returned for Tags:"vsts"
Generates source link for VSTS Git repositories. The Carpenter MSBuild/TFS/VSTS build system helper is a collection of build scripts and tools to be used with Visual Studio and Team Foundation Server or Visual Studio Team Services. The Auth Helper tool enables NuGet clients to connect to Visual Studio Team Services Package Management NuGet feeds by acquiring and securely storing Personal Access Tokens for each VSTS package source in a nuget.config file. A simple library that uses the VSTS REST API to retrieve configuration values for Test Management Test Configurations in VSTS for use in tests at runtime. This package provides support for receiving WebHooks from Visual Studio Team Services. For information about Visual Studio Team Services WebHooks, see "https://www.visualstudio.com/en-us/get-started/integrate/service-hooks/webhooks-and-vso-vs". Provides the $(CI) property to detect a continuous integration build. Supports TeamCity, AppVeyor, MyGet, Jenkins, Wrench, VSTS and Travis. A sample package to demonstrate Package Management in Visual Studio Team Services. Thank you for choosing Team Services! This addin is no longer maintained. Please use Cake.Issues.PullRequests.Tfs instead. 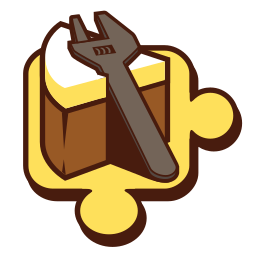 The TFS / VSTS support for the Pull Request Code Analysis Addin for Cake allows you to write found issues as comments to Team Foundation Server or Visual Studio Team Services pull requests. Provides powershell commands for managing VSTS/TFS.